Last week in Amsterdam was exciting for our organization. After months of preparations by presidency and steering committee and exceptional organizational efforts of our host, The Facultatieve group, AGM 2013 launched in full touch. We took big steps forward towards even better and more visible ASCE in the future. Cemeteries route, significant cemeteries recognition method, scientific research and new projects cooperation were outlined. Cemeteries from landscape architectural points of view enriched our perception and experience. 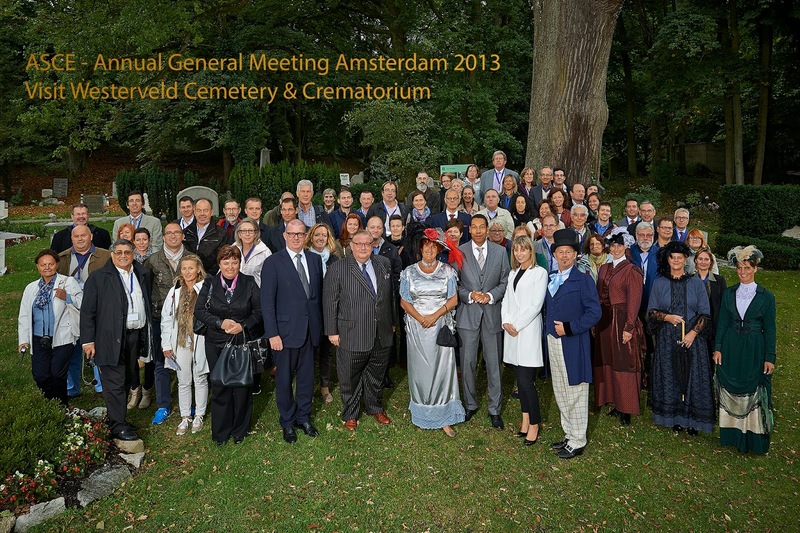 Visit of Westerveld and Moscowa cemeteries were exciting and amplified our vision. 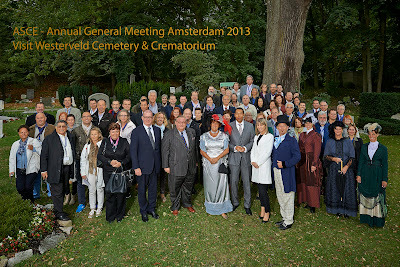 Yes, we are ready to get each European citizen in touch with the heritage resting in cemeteries. In following days we will post full report and details on many projects we are developing. For now you are welcome to enjoy the few photo glimpses of 3 amazing days we have enjoyed in Amsterdam. Thank you Facultatieve group for making us feel special. Thank you Westerveld and Moscowa for joyful hospitality and wonderful guidance through your heritage. Thank you dear members for attending and participating with your valuable comments and views. Thank you dr. F. Javier Rodríguez Barberán, Karel Werdler, Muriel Ghys, Wim van Midwoud, dr. Julie Rugg, Olaf Ihlefeldt for amazing lectures and knowledge exchange. Thank you all the new members for presentations of your wonderful cemeteries. Thank you Barcelona for beautiful invitation to AGM 2014.